The Buena Vista Bike Library is a free community resource that includes over 20 bikes ranging in size from striders, to full size adult bikes. Helmets and bike locks are available, too! The Buena Vista Bike Library supports our goal of increasing participation in active transportation and outdoor recreation. Bikes can be checked out to individuals, families, or for group events. Please complete the Bike Checkout Form before you meet with BV REC. You may submit the electronic form below or fill in the printable version and bring it with you. 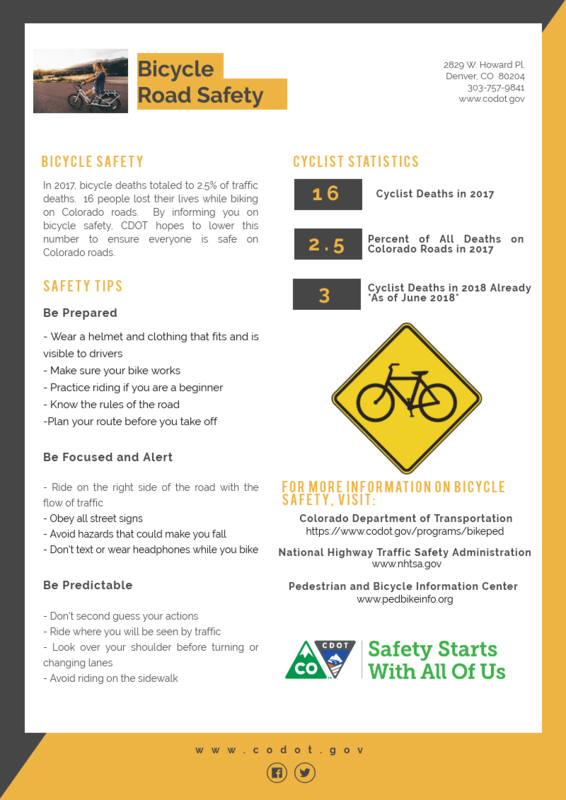 We will need a signed permission form from a parent or guardian, and then we will take some time getting you up to speed on safety concerns and local bike routes and trails. 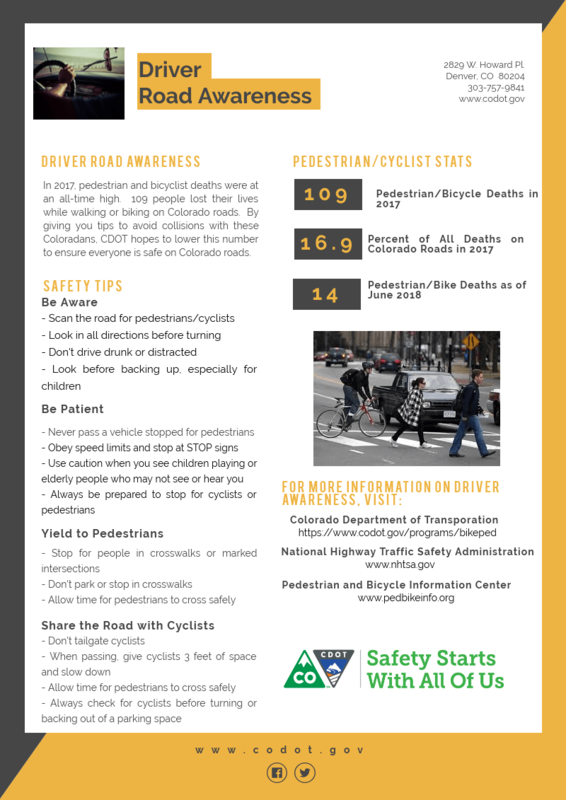 By informing you about bicycle, pedestrian, and driver safety, CDOT hopes to reduce accidents and ensure everyone is safe on Colorado roads. 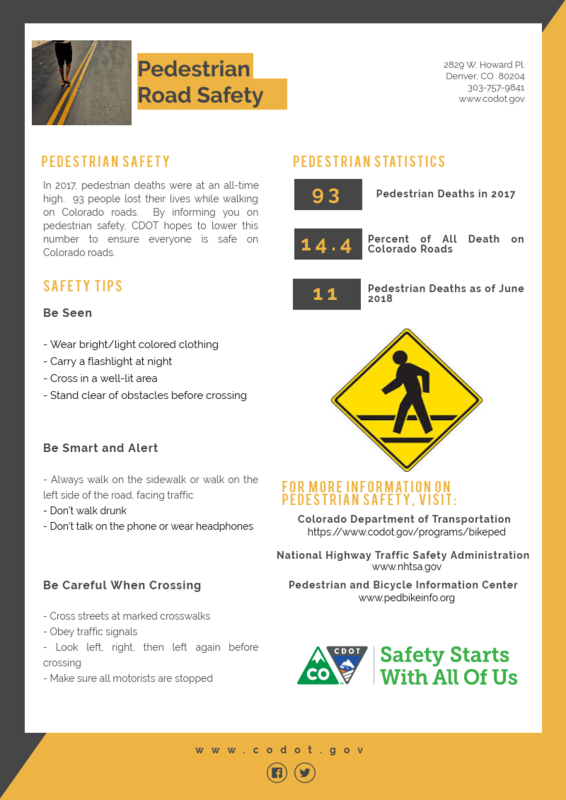 Click each image to learn more about bicycle and pedestrian road safety and driver road awareness.